Friends! Holy cow, this winter has flown by and it seems like spring might actually be right around the corner (and by saying that, I hope to god I didn’t just jinx it). For the first time in history I am actually behind the ball when it comes to getting seeds sown for spring. At this point I’m usually weeks into the process. I just (like today) put in an order for a few of my favorite varieties of seeds over at my go-to spot, Park Seed, and I’m so excited for them to get here. I’ve been starting seeds in doors for a few years now, and I’ve learned a bit throughout the years. Last year I yielded my best seedlings after starting them under grow lights, and hope to continue honing my skillz this spring. It can be expensive to acquire seed starting gear, but it’s easy to start just a packet or two indoors with a sunny location, a seed starting kit, and a little TLC. Flowers can be so expensive at the garden store, and I’ve found that starting them from seed in doors is super satisfying, fun, cost saving, (plus it’ll do your snowy heart good). 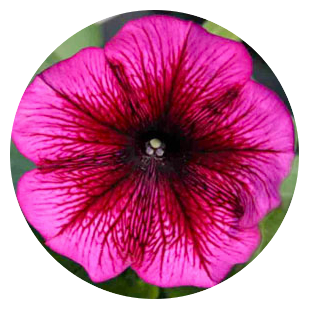 After starting lots of different types of flower seeds in doors, Zinnias, Impatiens, Petunias, Coleus and Alyssum are my go to because of their ease and hardiness. 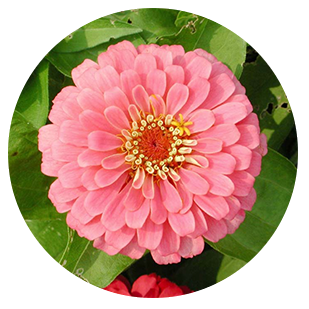 Zinnias are my favorite flower seed to grow because they are easy to grow and produce so many flowers (great for cutting). They are perfect for garden beds and borders and can also be grown in containers. Zinnias thrive in the sun and heat and will attract a fair share of butterflies. The best part is that they come in tons of different size and colors. 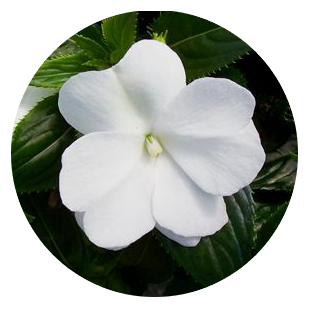 Impatiens are a classic plant for shady beds and containers. Colors range from orange, vibrant hot pink to soft lavender. They are easy to care for and bloom continuously. I like to use them in my shady garden beds and window boxes. I fell head over heals with petunias after visiting Ireland where you will find baskets brimming with the trailing flower. They begin flowering at the cusp of summer and continue well into the fall. They can be mounded, or trailed and come in array of colors. These are some of my favorites to start from seed, and to fill my window boxes, baskets and containers with. 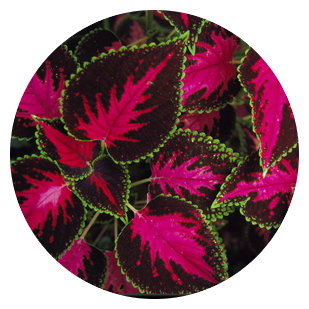 Coleus is super easy to start from seed, and the variegated leaves come in so many patterns, shapes and colors! Coleus first became popular with the Victorians in the 1850’s, and within 30 years had become the most popular houseplant in both England and America. I’m planning a major Coleus invasion in my garden this year, and can’t wait to get these babies growing. 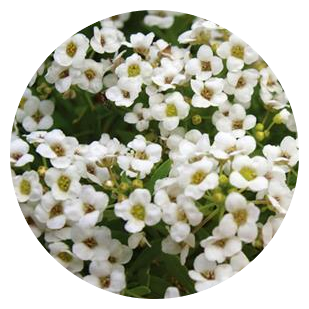 I love to add Alyssum to my sunny border gardens and window boxes. This tiny little white bloom mounds beautifully, blooms multiple times throughout the summer, and smells pretty incredible. This one isn’t too expensive to purchase from the garden store, but I get a kick out of starting them at home. Yay! So excited to see the first gardening post :). I’m going to try Dahlias indoors this year. First time! Here’s to happy planting!